O'Connor Airlines was an airline based at Mount Gambier, South Australia, Australia. 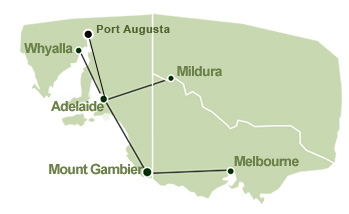 It operated scheduled services from Mount Gambier to destinations in South Australia and Victoria. Its main base was Mount Gambier Airport, with a hub at Adelaide Airport, which serviced Mildura Airport and Port Augusta Airport. The airline also serviced Whyalla Airport until September 2007. O'Connor Airlines is no longer in active service.